Greetings and Salutations to the Teaching Community on Teachers' Day! 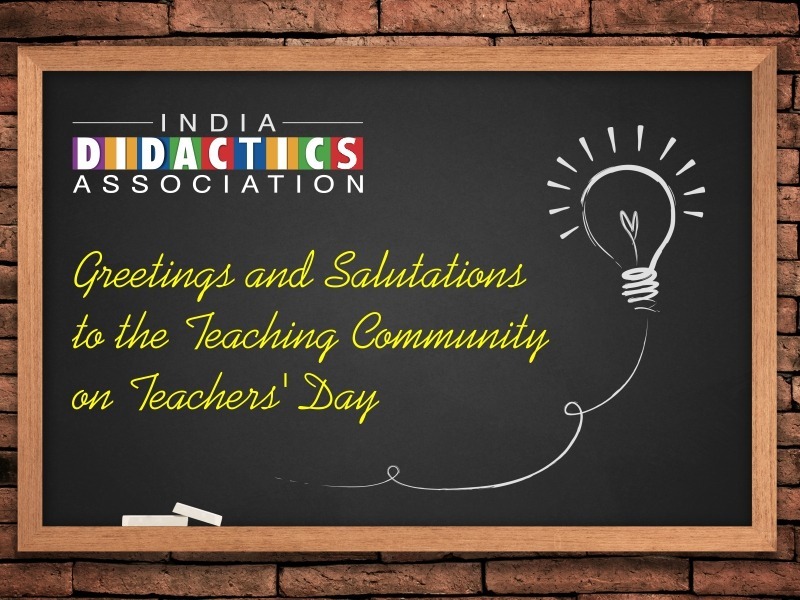 Home IDA Greetings and Salutations to the Teaching Community on Teachers’ Day! Greetings and Salutations to the Teaching Community on Teachers’ Day! Previous article	PM Narendra Modi Interacts with School Children on the Eve of Teachers' Day Next article	Winners of 2015 IDA Awards Announced and Felicitated at the Third Awards Ceremony at the Worlddidac India Exhibition.